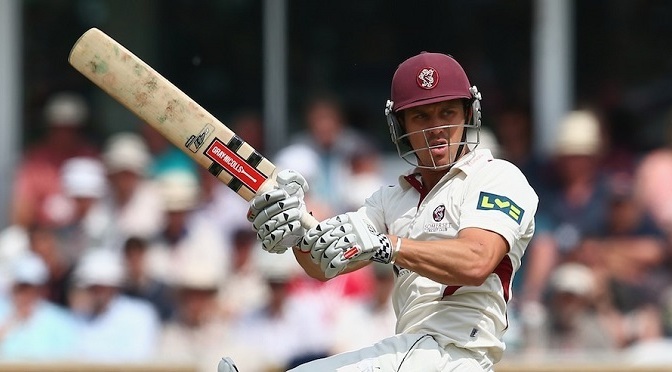 Nick Compton, the former England opener, is to leave Somerset despite having signed a three-year deal with the club in 2013. He is understood to have become disillusioned with life in the county game and unhappy about living so far from his home in Richmond, London. While he has yet to sign for another county – he is understood to be taking some time away from the game to reflect on his options – there seems a decent chance he will, in time, re-join Middlesex. He represented the club from 2004 to 2009 and has a strong affinity for their home ground of Lord’s, where a stand is named after his grandfather, Denis Compton. The move is a considerable blow to Somerset. Compton topped their Championship batting averages in 2013 and has scored 5,140 first-class runs an average of 55.87 since joining the club. He is the third top-order batsman to leave the club – excluding overseas players – in little more than 18 months. Chris Jones and Arul Suppiah both retired in recent times and Marcus Trescothick is, aged 38, in the autumn of his career. The club have accepted, though, that Compton’s unhappiness is genuine and will neither hold him to his contract or pursue compensation payments. They hope that a move back to London – where Compton’s partner lives – may prove beneficial and understand that he is keen to explore opportunities in the media with a view to his career after his playing days. After nine Tests in which he registered two centuries, Compton was devastated to be dropped on the verge of the 2013 Ashes and has since seen several younger men – the likes of Sam Robson, Adam Lyth and Alex Lees – overtake him in the race for a Test place. While he has continued to score consistently, the experience has weighed heavily on Compton. Being overlooked for the recent Lions squad seems to be confirmation that England do not see him as part of their future plans. “I am sorry to see Nick depart as he is a quality cricketer,” director of cricket, Matt Maynard, said. “But it is fundamentally important that he, or any player for that matter, wants to be here and is able to perform to the best of their ability; sadly this is not something Nick feels able to achieve at this time”.